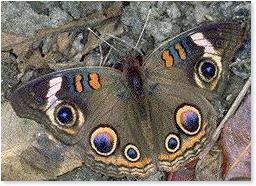 In 2000 twenty-five participants found 1,195 butterflies of 50 species. The Ojibway Prairie Complex received the majority of coverage. Paul Pratt led at Spring Garden Prairie ANSI. Russ Jones led in Ojibway and Tallgrass Prairie Parks. Betty Learmouth searched the Chrysler Canada Greenway while Jeff Larson covered the LaSalle Woodlot ESA, Black Oak Heritage Park and portions of Spring Garden. David D'hondt visited the Little River area. The count was hosted by the Ojibway Nature Centre, Windsor Parks & Recreation. The Friends of Ojibway Prairie sponsored a picnic lunch which was provided by Deb Waugh. Flight seasons for most species appeared to be normal or slightly advanced this year. The count day was very cloudy with only an hour or so of sunshine in the afternoon which reduced count totals significantly. 65 species have been recorded over the past seven butterfly counts. In 1999 66 counts were held in Canada and 321 counts in the rest of North America. Windsor reported the highest total for Canada with 56 species. Windsor also recorded the highest count (16) for Duke's Skipper in North America. Click here for the 1999 results. Patricia Broad, Margaret Calder, Clarence Calder, Heather Anne Campbell, Paul Desjardins, David D’hondt, Kristen Fawdry, Scott Gillingwater, Barbara Hayes, Merv Hayes, June Hurley, Tom Hurst, Russ Jones, Jeff Larson, Betty Learmouth, Emily Pancheshan, Nancy Pancheshan, Paul Pratt, Andy Simko, Laura Southcott, Linda Tucker, Janet Tuite, Deb Waugh. A Wild Indigo Duskywing was observed ovipositing on crown vetch. This species has increased in numbers as crown vetch has become more common and widespread. Caterpillars found during the count included two Monarchs on butterfly milkweed, two Eastern Black Swallowtails on wild carrot and one Viceroy on willow.